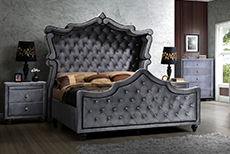 Personalize your home by choosing from our huge range of great value occasional and accent furniture. Our selection includes coffee tables, end and lamp tables, sofa and console tables, all of which would make a beautiful contribution to your room. We have a great choice of tables with shelves, drawers, casters or seating options. Check out our big choice of styles, shapes and sizes, all at great value prices.